The White-bellied Sea-Eagle is the second largest raptor (bird of prey) found in Australia. The Wedge-tailed Eagle is mostly brown, with a wedge-shaped tail. 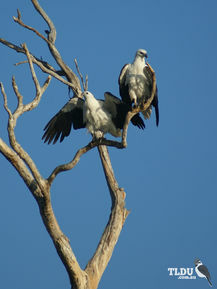 The White-bellied Sea-Eagle has white on the head, rump and underparts and dark grey on the back and wings. In flight the black flight feathers on the wings are easily seen when the bird is viewed from below. The large, hooked bill is grey with a darker tip, and the eye is dark brown. The legs and feet are cream-white, with long black talons (claws). The sexes are similar. As in other raptors (birds of prey), Males (2.5 kg - 3.7 kg) are slightly smaller than females (2.8 kg - 4.2 kg).The wingspan is about 1.8 m - 2 m. Young Sea-Eagles are brown as juveniles than slowly become to resemble adults in a patchwork manner, acquiring the complete adult plumage by their fourth year. 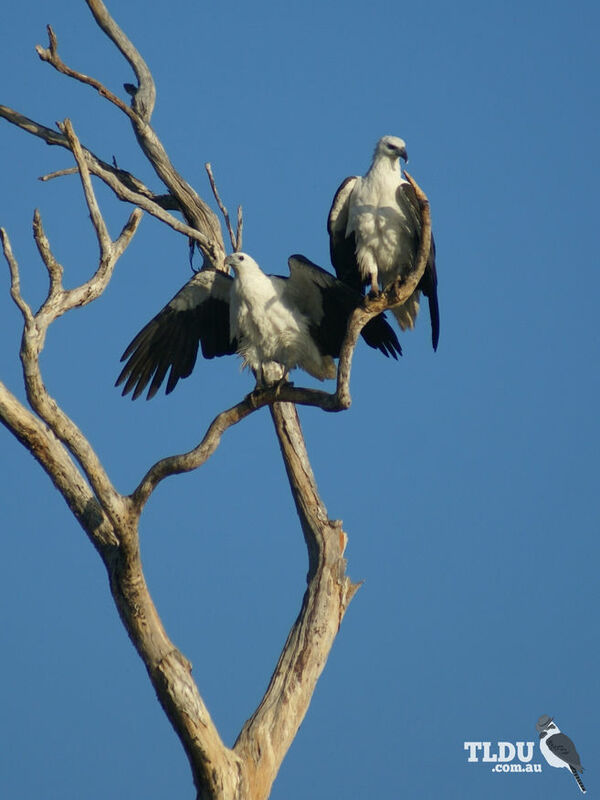 White-bellied Sea-Eagles are a common sight in coastal and near coastal areas of Australia.